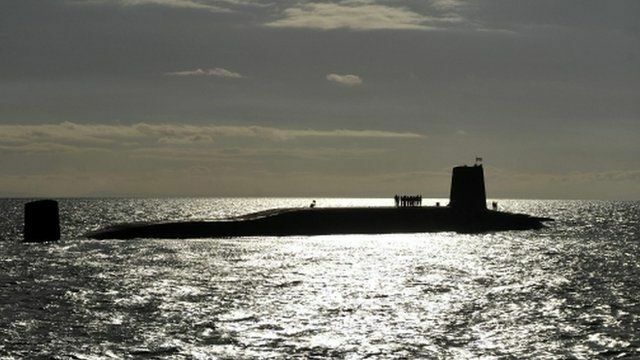 Scotland's Deputy First Minister Nicola Sturgeon has disputed the conclusions of a committee of MPs which said plans to rid nuclear deterrent Trident from Scottish waters would take a long time to see through. The pro-independent Scottish National Party said if it won power in a break-away Scotland it would get rid of the weapons currently kept in Faslane on the Clyde. However, members of the Commons Foreign Affairs Committee, which has been looking at the potential implications of Scottish independence, concluded that in practical terms it could take a generation to remove Trident. Ms Sturgeon told BBC Radio Scotland's Good Morning Scotland programme: "We do not want Trident in Scotland. The removal of Trident from Scotland, it has to be in a safe timescale. We want that to be the speediest possible safe timescale for removal. "When I gave evidence to the committee I cited reports and evidence that CND has done in the past in terms of the timescale, a two-year timescale in which Trident could safely be removed from Scotland. "But the important point is we are a responsible party and we are a responsible government and we are not going to do anything that is unsafe, but we do want to see Trident removed from Scotland as quickly as possible."